In February, Liquid Telecom announced the setting aside of Kshs. 100 Million for free Wi-Fi to towns across the country. There currently 350 hotspots across the country in Nairobi, Nakuru, Mombasa, Kisumu, Eldoret, Kajiado, and Nyeri with plans to commission more. The company also launched an App referred to as the Liquid Telecom Wi-Fi Finderapp, to allow users find the free wifi hotspots. The app shows the locations of the free Wi-Fi as well as the address and contact details for each hotspot. The Wi-Fi project offers users a minimum of 15 minutes of free use to unlimited free use after which they pay a small fee to access. The Liquid Telecom Wi-Fi Finder app is available for download on the Google Play for Android devices and from the Apple Store for iOS devices. 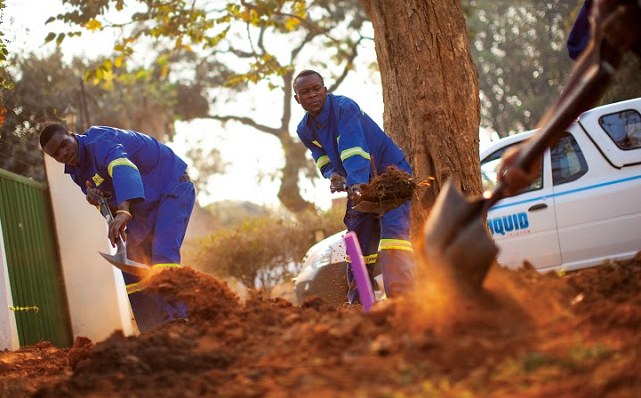 Liquid Telecom has now announced plans to connect 46 branches of Kenya National Libraries Services (KNLS) with free internet. The project in partnership with the Communications Authority of Kenya will begin in June and is set to benefit 500,000 members. The project which will cost Kshs. 72 Million will also see each library get 11 computers, kindles and tablets. A full launch of the project will take place in June that will additionally connect all the libraries to one another through the cloudPrivate Automatic Branch Exchange (PABX), setting up open phone lines between all the branches using Voice over IP.